I am not just another pretty face. I am the "brains' behind CTB. A little about me. Where do I start? I am a middle aged fella who is married with children. The important things in my life are faith, family, friends, and Maeve (my bike). My wife would probably say the list is out of order...only some days. Since I was 18, I have made my living doing all kinds of stuff. Most of it was doing interesting things with interesting people or teaching interesting things to interesting people. These days I do all kinds of stuff to earn a living, some of it has nothing to do with each other but that's OK cause it helps with my ADD...look a cat. I also love to research, write, and share. 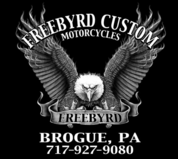 My reason for starting TCB is because I love my motorcycle and more importantly love to ride, and try to ride year round even here in SW Pennsylvania. We can all agree that the longer you ride and the more you learn about your bike, bikes in general, riding skills, and bikers in general the more you realize how little you know. I don't know about you but I don't have any money to waste on crap. I want my extra money Momma pretends not to know about to buy put gas in my tank, buy what I need, and a little of what I want for my bike. The best way to do that is to not waste money or pay more for something than you should. 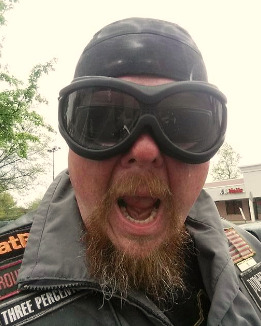 The #1 way to do that is to stay out of the Harley Dealership (did I say that out loud). Anyway I will do my best along with some friends in low places to help you save money, learn a thing or two, and laugh a little. 2016 The Cheap Biker. Simple theme. Powered by Blogger.